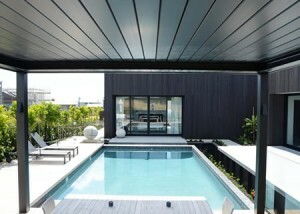 Ozsun opening roof louvres are designed and engineered to Australian wind and design codes, including cyclonic regions. 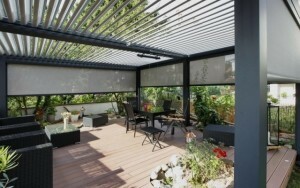 An Ozsun Louvre Roof will create your new favourite outdoor room. Let your life flow seamlessly from the kitchen dining area and out to your covered patio. 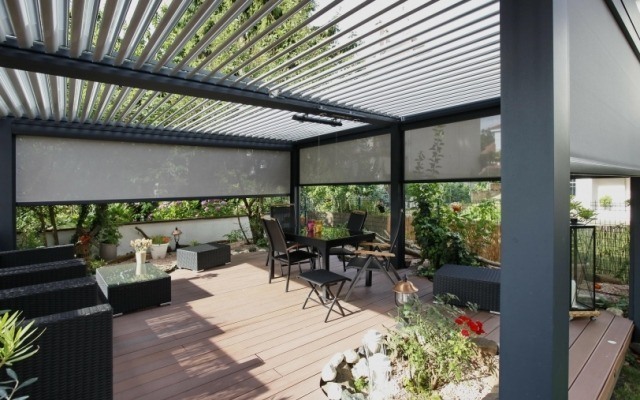 If your deck, verandah, pergola or gazebo needs design ideas, or if you are looking for a new outdoor room that is functional and creates more space in your home contact Ozsun to discuss the options available for your deck renovation. Ozsun’s range of louvre roofs create additional living spaces that are customised to your home and let you make the most of the outdoors by maximising daylight and offering weatherproof protection when it rains. The best of both worlds! Open up your deck, pergola or gazebo and gain more living space. Make the roof of your pergola an Ozsun opening roof which will let you get maximum enjoyment from the sun – summer or winter. Fit an Ozsun opening roof to your current deck, pergola, or gazebo or on the other hand incorporate it in to your brand new build. Ozsun can provide the ideal deck roofing system. Available either motorised or hand operated an Ozsun opening roof can be an integral part of modern decks, gazebos or pergolas. Include an opening roof into your renovation plans and open up your life to the outdoors. • Ozsun’s louvre blades have a flat base. 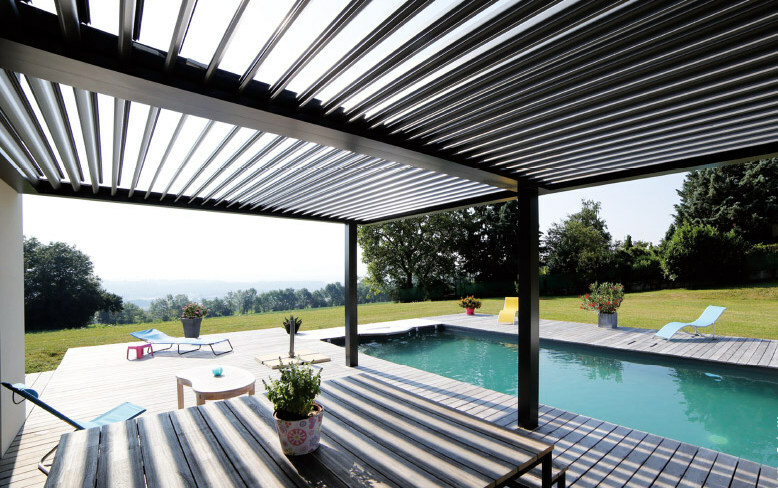 • The flat base gives a contemporary aesthetic flat roof when the louvres are closed, rather than the ridge and valley look of other systems. • A tongue and groove look is created as the louvre blades include chamfered edges. • Blades rotate 180 degrees. • This louvre roof is capable of large spans. 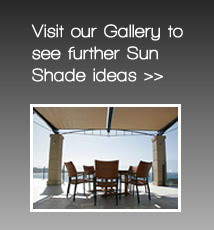 • During winter, an opening roof lets you and your family make the most of the winter sun. • Ozsun louvred opening roofs provide ventilation. • Automated or adjustable by hand. • Choose from a range of anodised or powdercoat finishes. • Choose Ozsun’s frame that your Opening Roof will sit in, or have your builder design a timber frame for you. • Let our sales consultant help you with design recommendations. Increased span – can cover larger free span areas than other systems. Flat profile – a contemporary aesthetically pleasing flat roof when the louvres are closed, rather than the ridge and valley look of other systems.